As of the 20th of March 2019 the US Federal Reserve has switched to dovish with monetary policy (more easy money) and metals (gold and silver) will be a first choice for long term investors. 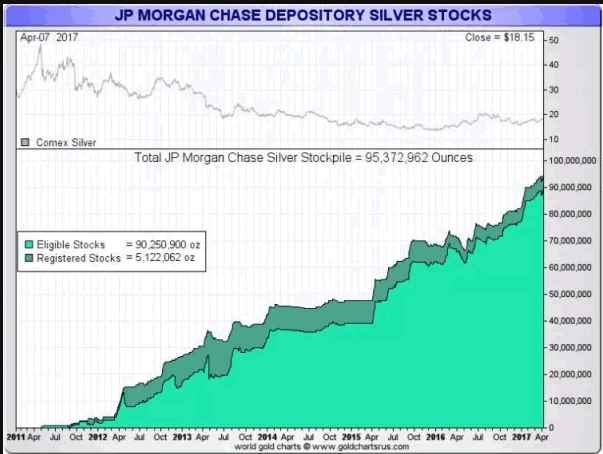 Here is why silver is at a better value than gold. 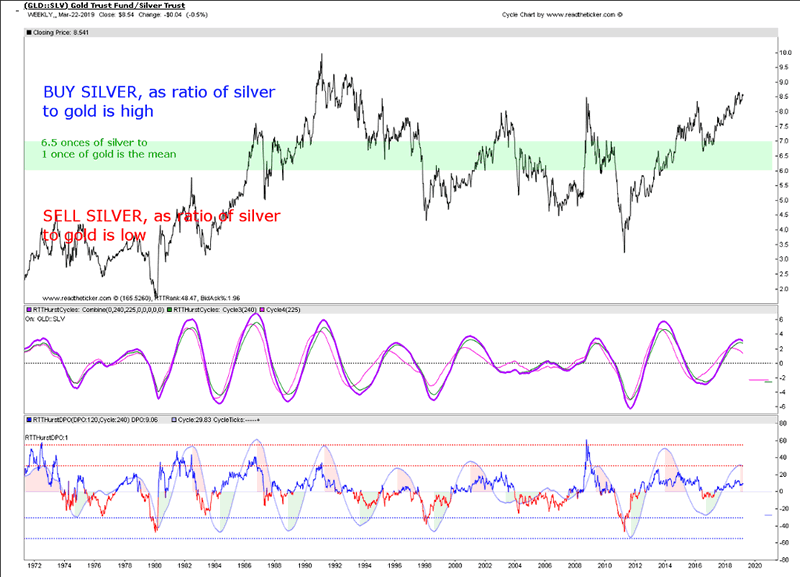 The gold and silver ratio with it is cycle in the chart below clearly shows silver is the better value buy. High gold and silver ratio means silver under valued. Indicators are the readtheticker.com adaptive cycle and our RTTHurstDPO, more here.